About me Technischer Analyst und Price-Action-Trader. Ich arbeite ausschließlich mit leeren Charts, die keine Indikatoren beinhalten. Für mich ist allein der Preis wichtig. Meine veröffentlichten Ideen hier auf Tradingview dienen mir als virtuelles Tagebuch. EURUSD - You wanna get rich within one month? That's easy! Hi traders, There is nothing more to say then: Trading is easy! Have a nice month, a lot of green bars and in march a lot of green dollars! Any COMMENTS and/or LIKES are very warm welcome!!! Hello traders, For today I placed a sell limit order for a little 50 pips scalp. I wish you good luck and a lot of pips! Hello Traders, After the retest at the 1.3200 level the weekly high is reached in my opinion and I will sell this big move southwards. Any comments or questions are very welcome! I wish you a lot of pips! Hello traders, Tomorrow is friday and it looks like my plan will be successful. So, after a deep retracement the fiber should start a run to the Target Area. Any questions? Just ask! I wish you good luck and a lot of pips! Hello traders, Now the EURUSD is going to create new highs. So my setup for tomorrow is only a logical consequence of the bullish tweezer on the daily chart. Buy, buy and fly! Good luck and a lot of green pips for you! Hello traders, After the EURUSD changed from bearish to bullish, this is my buy setup for tomorrow: I placed a buy limit order at about 1.1750 (London) and the take profit level at 1.1800 (New York). So this is a safe way to get 50 pips. I wish you good luck and a lot of pips! Hi traders, I do not trade on fridays. But watch out in case you have any short positions open. 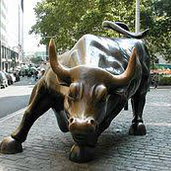 Today is an EXTREMELY bullish day. I have drawn you my expected Target Area for today. I wish you good luck and a lot of pips! Have a nice weekend. I wish you good luck and a lot of pips! Seen on the 4h-chart. Now we now what market is doing very clearly. Another 200 pips? Uhh, okay... I'll take them! My goal for next week is the 1.1400. I wish you good luck and a lot of pips! Market stopped me out but the idea for this buy is the same. I wish you good luck and a lot of pips! If the price will reach the green area it should bounce and create a new high. I wish you good luck and a lot of pips! A very nice 3-Drive-Pattern. I wish you good luck and a lot of pips! If I am not mistaken the risk/reward-percentage is about 1:10. I wish you good luck and a lot of pips!